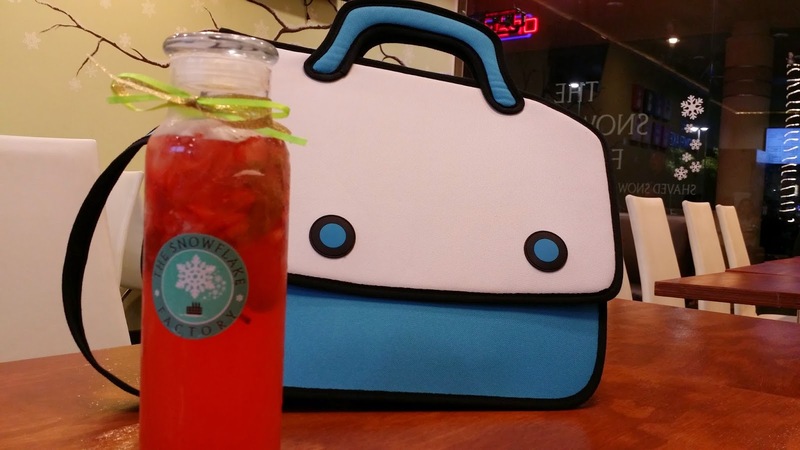 WASABI FRIES & CUTE TAKE-HOME MASON JARS @ THE SNOWFLAKE FACTORY - GARDEN GROVE - EAT WITH HOP! WASABI FRIES ARE NOW AVAILABLE ON THE MENU! WHAT DO U GUYS THINK OF MY CARTOON LIKE JUMP FROM PAPER CROSS OVER BAG?! WHAT A CUTE MASON JAR! 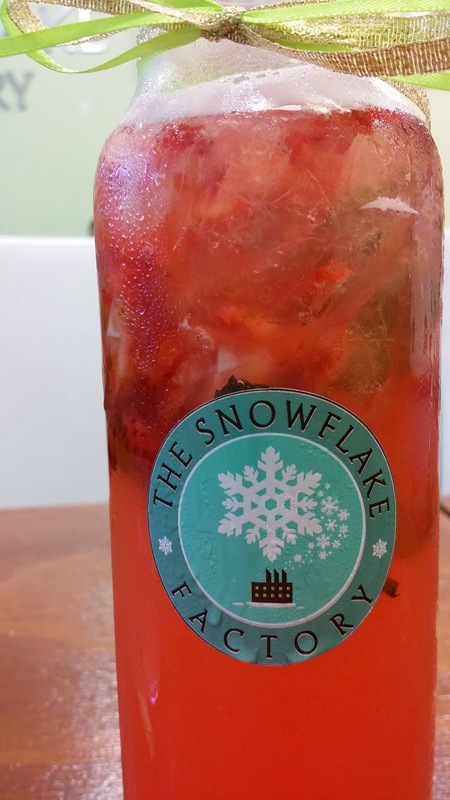 AERIAL VIEW OF THE STRAWBERRY MINT LEMONADE.YUMMMMMMY! Kev and I stopped by the Snowflake Factory and few weeks ago to grab some wasabi fries to eat! It's one of their newest creations that just debuted on their menu recently! To be honest, I was a bit skeptical at first because I do not like wasabi and don't ever eat it with sushi (unless I reaaaally had to). I was afraid that the wasabi sauce might be too strong but actually, to my pleasant surprise, it was actually delicious! The wasabi flavor is not very strong at first but it definitely has a kick to it at the end! It's not an overwhelming kick though until you start eating it too much. I actually did scrape off a bit of the sauce off my fries because I'm not used to the wasabi flavor but it's definitely not too strong to handle at all! Just depends on your preferences! I think this is actually a pretty creative appetizer! If you like crunchy fries though, this is not the place. Their fries are on the softer side so don't say I didn't warn ya! This was delicious! And even better, you can now order these in cute little mason jars! 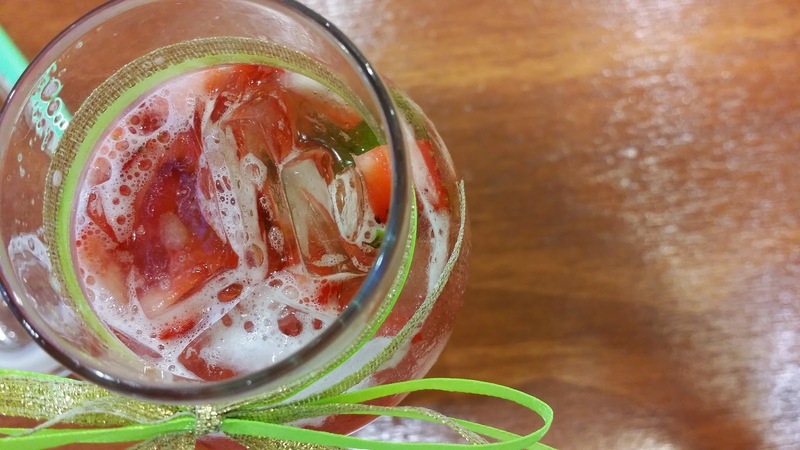 The drink was not too sour and the mint leaves added were a perfect touch. Next time I'll try the cucumber mint lemonade! 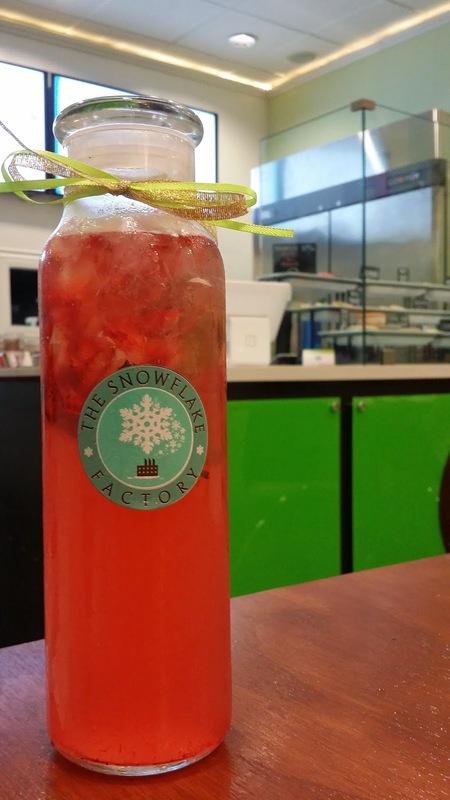 I think Snowflake Factory is really trying to stay in the game by updating its menu to compete with other dessert store rivalries like the ever so popular Snow Monster and Snow Station.